After music mogul Lucious Lyon (Oscar® Nominee Terrence Howard*) is diagnosed with a potentially fatal disease, he must choose which of his three sons will succeed him at the legendary Empire Entertainment. The game changes when his ex-wife Cookie (Oscar® Nominee Taraji P. Henson**) returns from prison where she’s been for almost two decades. Brash and fearless, she sees herself as the sacrificial lamb who built an empire with Lucious and then took the fall for running the drugs that financed Lucious’ early career. As the Lyons slug it out, a battle begins that will either cause the family’s destruction or redemption. Have you been watching the show, Empire? Let me just say if you're looking for a show with lots of drama, music and a good looking cast, this is the show with you. After a medical diagnosis, Lucious Lyon, CEO of Empire Entertainment must decide which of his three sons will take over his business for him when he no longer can. Not only does he has this going on, but his ex-wife Cookie shows up to claim half of Empire and the drama just keeps unfolding. I was a bit behind on the phenomenon that is Empire and kept hearing my sisters talk about the show, so I was pretty excited I got a chance to catch up by watching season one. This show is amazing and keeps getting better. With secrets and lies coming up left and right, this show will keep you on your toes and entertained and wanting more and more. Season two started a few weeks ago and it's just as good as season one. If you've enjoyed this show as much as I have, then this is a must have with eleven uncut music performances and bonus feature with the cast and crew. 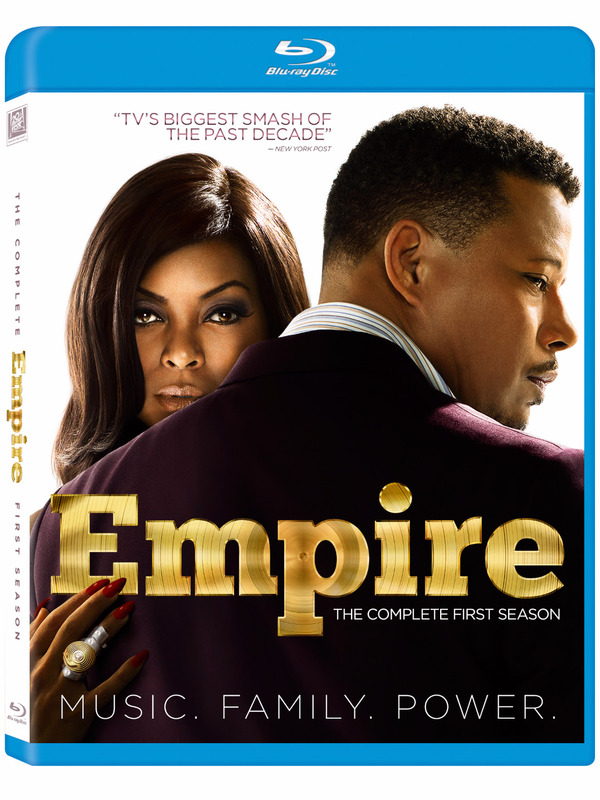 Empire Season One is now out on both DVD and blu-ray in stores. Disclosure: All opinions are my own. I received Empire Season One on Blu-ray at no cost for the purpose of this review. No other compensation was received.